As a legal practitioner and teacher of the law relating to the ‘world of work’ at university level for nearly 40 years I feel duty-bound to comment adversely on recent developments in the constitutional court concerning my field of expertise. I felt obliged to criticise at least three recent judgments of the constitutional court and they can all be found on my personal website GilesFiles which I created in about 2008. My criticism related the use of language that we are accustomed to see in criminal matters and not work-related matters. I respectfully cautioned against the use of words such as ‘charges’, ‘guilty’, ‘not guilty’, ‘conviction’ and ‘sanction’. In the most recent judgment dated 19 February 2019 discussed in Precautionary suspension considered: No right to be heard the constitutional court correctly held that employees could be suspended without any loss of benefits as a precautionary measure. It was also held that employees are not required to allow those employees to exercise any right to be heard before being suspended. But the reason given by the unanimous decision of the judges is that suspension is simply a precautionary measure and is not ‘punitive’. This incorrectly suggests that when senior managers exercise the right to enforce standards of behaviour and performance they are acting ‘punitively’. Presumably because there is the possibility of some form of punishment being meted out only then must the employee be allowed to exercise the right to be heard, or to respond to any allegations. The Constitution clearly recognizes certain fundamental rights, including the right to fair labour practices and dignity. 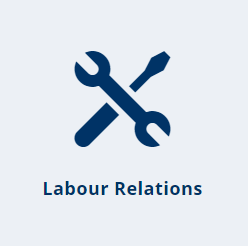 The Labour Relations Act, 1995 (LRA) was the first statute to be drafted in understandable plain language. There is no suggestion that senior management has any right to ‘punish’ any employees who have the right not to be unfairly dismissed and to fair labour practices. The LRA adopted the language of the 1982 International Labour Organisation (ILO) Convention by allowing employers to dismiss employees for a valid and fair reason without having to prove any misconduct or incapacity. In the words of the LRA, and apart from a fair procedure, the reason for dismissal must be related to the employee’s conduct or capacity or be based on operational requirements. There is no requirement nor suggestion that there must be proof of any ‘guilt’ or even ‘fault’ on the part of employees. What does tend to be overlooked in practice is that unless there is proof of gross misconduct employees should not forfeit any right to receive reasonable notice pay and even severance benefits. Senior management must ensure that all dismissals are lawful as well as fair. ‘Dismissal is not an expression of moral outrage; much less is it an act of vengeance. It is, or should be, a sensible operational response to risk management in the particular enterprise. That is why supermarket shelf packers who steal small items are routinely dismissed. Their dismissal has little to do with society’s moral opprobrium of a minor theft; it has everything to do with the operational requirements of the employer’s enterprise’. [see De Beers Consolidated Mines Ltd v CCMA  9 BLLR 995 (LAC) at para 22]. The audi alteram partem rule developed as part of our common law. The rule is based on the principle of natural justice. But parliament may alter or modify that rule or principle by legislation. The Labour Relations Act (LRA) gives effect to the constitutional right to fair labour practices. It also has regard to the ILO Termination Convention of 1982 and the applicable Recommendation. So, the LRA provides that employees who contend that they have been unfairly dismissed must be allowed to refer their disputes to an external neutral body. In our country this is the CCMA or the bargaining council (BC) or the labour court. allow the employee to respond to them. There is no requirement in the LRA for any internal ‘hearing’ nor for any evidence to be adduced internally. In Afrikaans the word ‘aanhoor’ is used and not ‘verhoor’. The LRA expects the formal hearing to be conduct during the external process and imposes an obligation on management to prove its case in that forum, but only if the employee wishes that to happen and run the risk of being exposed as incapable of measuring up to acceptable standards of conduct or capability. There is clearly no place for formal disciplinary procedures that incorporate all of the accoutrements of a criminal trial, including the leading of witnesses, technical and complex ‘charge sheets’, requests for particulars, the application of the rules of evidence, legal arguments, and the like. “This conception of the right to a hearing prior to dismissal (what the Committee of Experts refers to as a preceding opportunity for ‘dialogue and reflection’) is reflected in the [Good Practice] Code . When the Code refers to an opportunity that must be given by the employer to the employee to state a case in response to any allegations made against that employee, which need not be a formal enquiry, it means no more than that there should be dialogue and an opportunity for reflection before any decision is taken to dismiss.